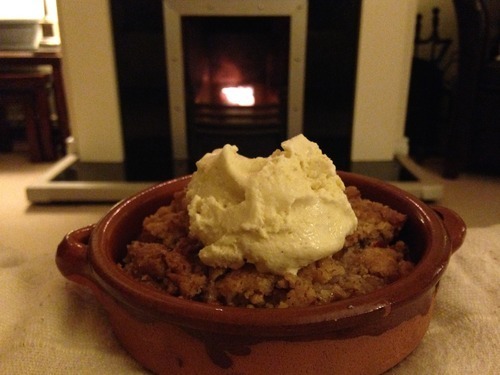 With the dark cosy evenings drawing in, crumbles are the ultimate home cooked comfort food. 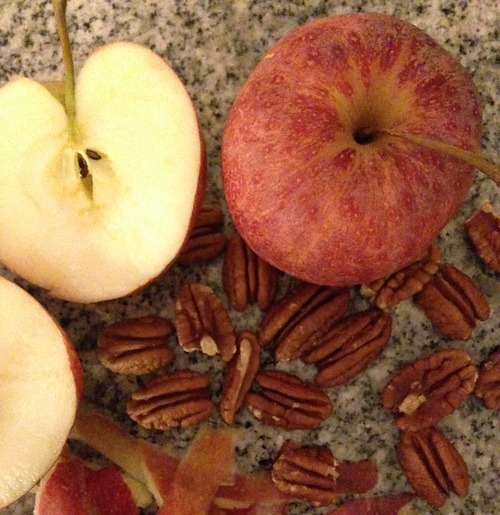 They’re unbelievably easy to make, and absolutely perfect for this time of year. 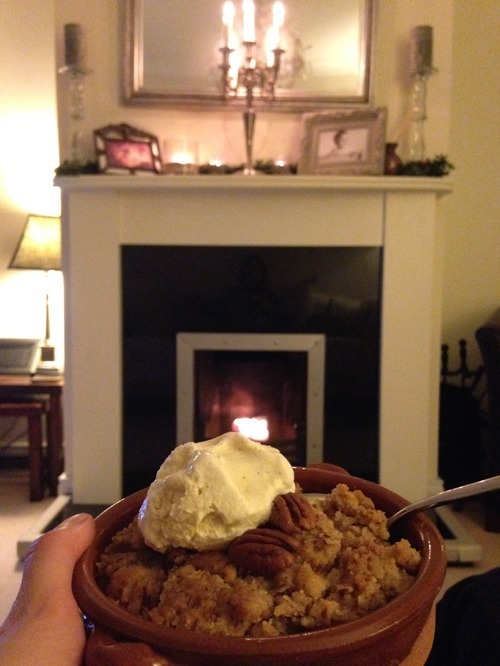 They can be made with any fruit, but my absolute all time favourite is apple and pecan crumble. It’s wonderfully moreish, and by adding pecans and cinnamon to the crumble topping this delicious dessert becomes even more scrumptious. This recipe is adapted slightly from the cookbook ‘Sophie Kooks’ by Sophie Morris, owner of Kooky Dough. In a saucepan over a medium heat add the chopped apples with a tablespoon of water and ¼ tsp cinnamon. Simmer gently with the lid on for 20 minutes until the apples are soft. 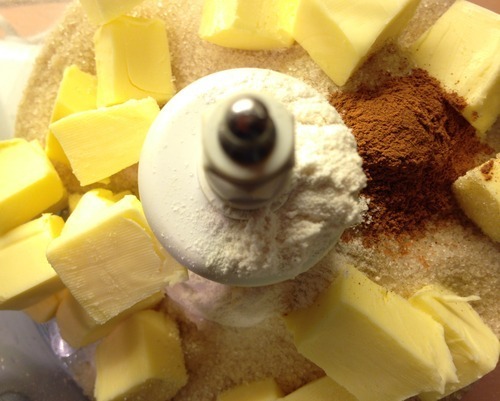 Next blitz the flour, butter, sugar and cinnamon in a food processor until it resembles breadcrumbs (you can also rub the mixture together with your fingertips to get the same consistency). 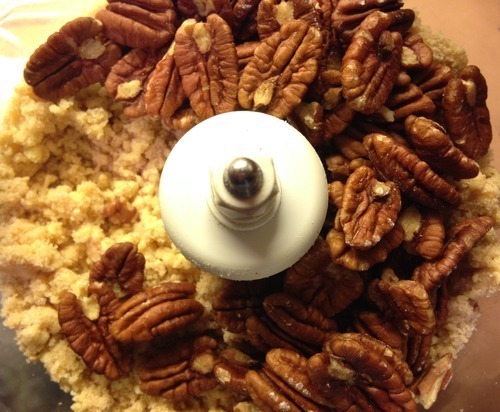 Then add the pecans and pulse a few times until combined but there’s still a few chunky pieces left. Pour the apples into a casserole dish and sprinkle the crumble mixture on top. 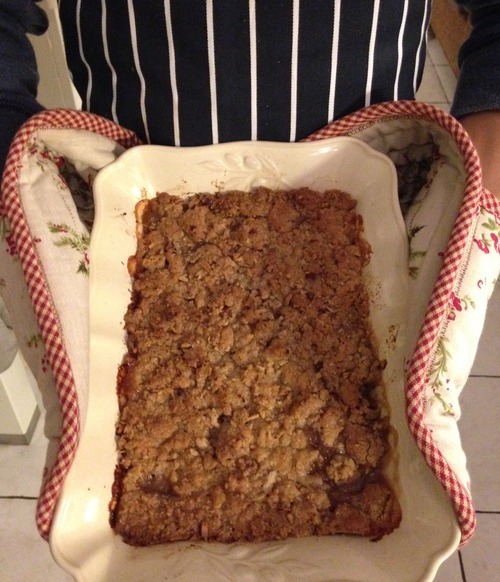 Pop in the oven for 40 minutes, until the crumble topping is golden and the apples are bubbling at the edges. The Christmasy aroma of the apples and cinnamon baking in the oven always makes me feel like stringing fairy lights around the house and popping on Michael Bublé’s Christmas album! I know it’s a bit too early to mention Christmas, but isn’t it so exciting that it’s just around the corner?! Serve warm with a scoop of vanilla ice-cream (my favourite). But custard, cream, Greek yogurt are all good too. So grab your cosiest blanket and this 'hug’ in a bowl, curl up by the fireplace and enjoy! 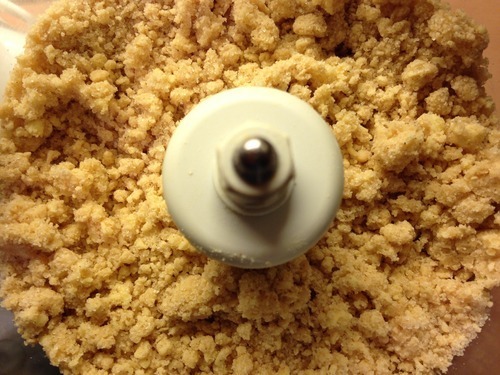 This crumble keeps in the fridge for up to 5 days, but if it lasts that long in your house you have the will power of a saint. And if you’re anything like me you’ll be polishing off the last bit, Nigella style, in front of the fridge before bedtime!